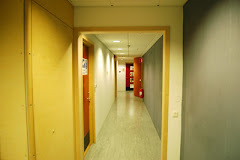 The corridor of uncertainty: Who teaches social media? Our kids are using social media every day and are constantly communicating, sharing and creating. 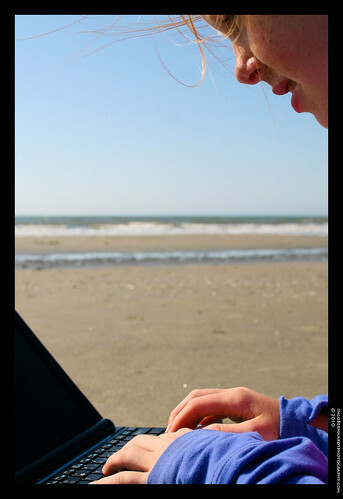 There are great opportunities for learning and networking out there on the net but there are, of course, many dangers. So how do they learn to use these tools in a responsible way? The answer is they have to do it themselves. Some succeed superbly whereas others make mistakes, sometimes even fatal ones. Isn't this a critical literacy that must be addressed in schools? That's the theme of an excellent post by Zoe Branigan-Pipe, Will we value the skills associated with Social Media like we do traditional literacies? She is worried that although some teachers are doing a lot of great work helping pupils to use social media responsibly and taking charge of their digital identity it is not seen as a key competence. "While I am thrilled that we are having these discussions online and within our PLN, it continues to concern me greatly that our districts and public education policies continue to put very little emphasis on the teaching of social media as part of a literacy program. While it is discussed and modeled in various capacities around the districts, it continues to be done as extra or optional, rather then as a required aspect of our children’s learning, like we do with reading, writing and math. And yet- it is the only literacy medium that can have serious personal safety consequences if it is used inappropriately." Considering the volume of media coverage about teenagers' net use it is strange that so little is done to provide guidance and training in public communication. Zoe gives a great list of practical lesson ideas to let kids practice responsible blogging, tweeting and networking in a controlled environment. One idea is particularly interesting; paper blogging from an idea by Rodd Lucier, Paper blogging. This is completely off-line and involves pupils writing blog posts on paper and posting them on a notice board. Comments can then be added on post-it stickers creating a very analogue, hands-on blogosphere. It's public communication and highly social but with the school or class as audience and is a good place to practice the skills needed to get attention and deal with comments when you finally go online. Since we spend so much of our time communicating on the net and are likely to do so even more in the future surely it's time to recognize this as a critical literacy and ensure that it is part of the curriculum. It can't be left up to individual teachers or schools, we need national initiatives.